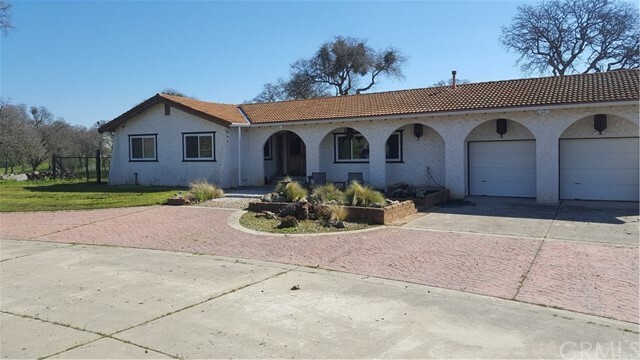 All Valley Springs homes currently listed for sale in Valley Springs as of 04/23/2019 are shown below. You can change the search criteria at any time by pressing the 'Change Search' button below. If you have any questions or you would like more information about any Valley Springs homes for sale or other Valley Springs real estate, please contact us and one of our knowledgeable Valley Springs REALTORS® would be pleased to assist you. "The main house is 2900 sq/ft. and has 4 beds/3 baths. There is a second house which is 1100 sq./ft. and has 2 beds/1bath. These two homes sit on beautiful 10 acres of land surrounded by green pastures and green lush trees. The property has an electric gated entry for privacy and protection. Both homes have built in fence to separate each house. In addition, there is a 2200 sq.ft of garage that was converted into a horticulture facility. The owner has spent over 200k in renovations, improvements, including 400 amps of power, 4x5 tons of A/C. There are 8 security cameras on the property monitored by ADT. This extra 2200 sq.ft building would be great for artist studio, sculpture studio, yoga studio, , work out area, extra storage or shop. Currently, there are 40 (owner owned) solar panels which powers the Main house which substantially reduces the utility bill. You and live in the main house and rent the second house. Currently the second house is rented at $1600.00. This property is absolutely beautiful and magnificent. It is a must see."